Yesterday I found this recipe for bloody marys that pretty much screamed my name. I’ve always LOVED tomato juice so it’s not surprising that a bloody mary is right up my alley. 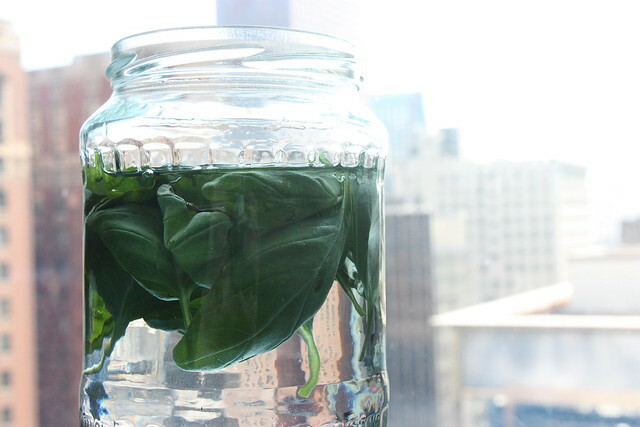 One of the ingredients for this lovely beverage was basil-infused vodka. I immediately snagged some leaves off of my basil plant and started infusing my vodka. Isn’t it gorgeous!? 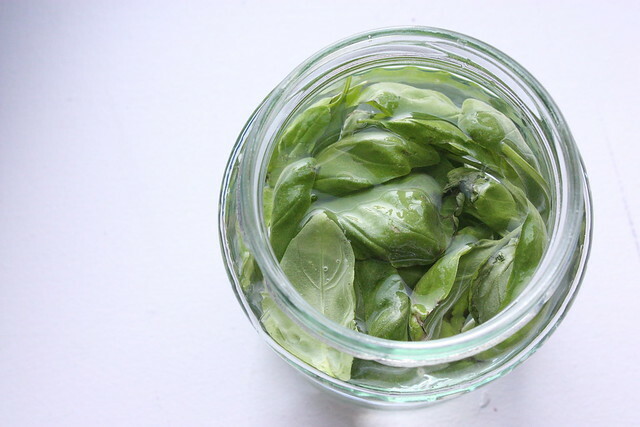 All you do is pour vodka over fresh basil leaves then seal it up in an airtight container and store it in a cool/dark place for a few days. I’ll let you know how it turns out next week when it’s all infused :). Ooooh yum. Basil vodka would be great for that!In Canada we drink "Caesar's" which are made with clamato juice – yes tomato juice with clam juice in it, sounds gross but is really tasty. Will try this soon – extra spicy. Can't wait to hear how your's tastes!